In our years of experience we’ve come across many TV mounting options. When trying to decide how to conceal or incorporate a TV into a room start here! Your Tech offers many solutions. Including your custom design yet to be created by our engineers and team. 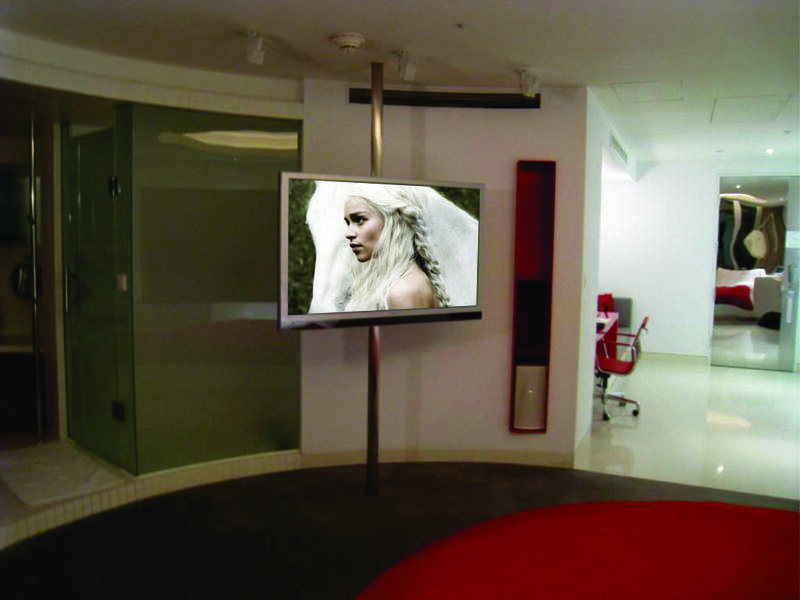 We have TV mounting experts available to create custom solutions specifically for your project. Our partners include welders, carpenters, mechanical engineers that are able to turn your dream into a reality. 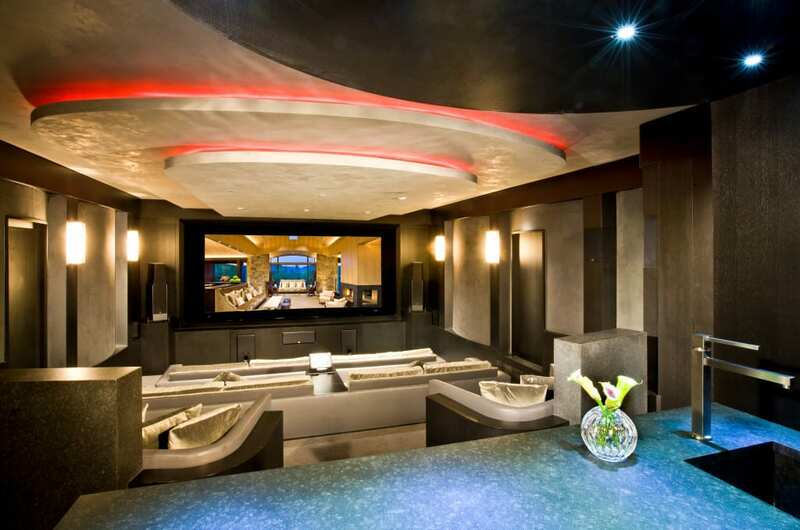 With a dedicated home theater, every aspect of the room is designed to ensure best possible picture and audio. This includes managing the materials used in the construction of the room. Ever want to watch something on a bigger screen? Installing a hidden projector system in a living room allows you to have that huge screen when you want it. Motorized Pop Up Mounts are easily added to a room within furniture or integrated in the home during construction. This method requires free space above the room, a attic or closet upstairs. For homes without this space check out our fold down option latter in this article. A under the bed Hidden TV can be added to your home anytime! A mirror TV elegantly transforms a sitting room into a TV room. Models for the bathroom are available. With the push of a button your TV is revealed. Motorized arms also allow the TV to pivot to your viewing location automatically all without even touching the TV. Ideal for locations where space allows door to recess above and below within the wall. With the push of a button your TV is revealed. 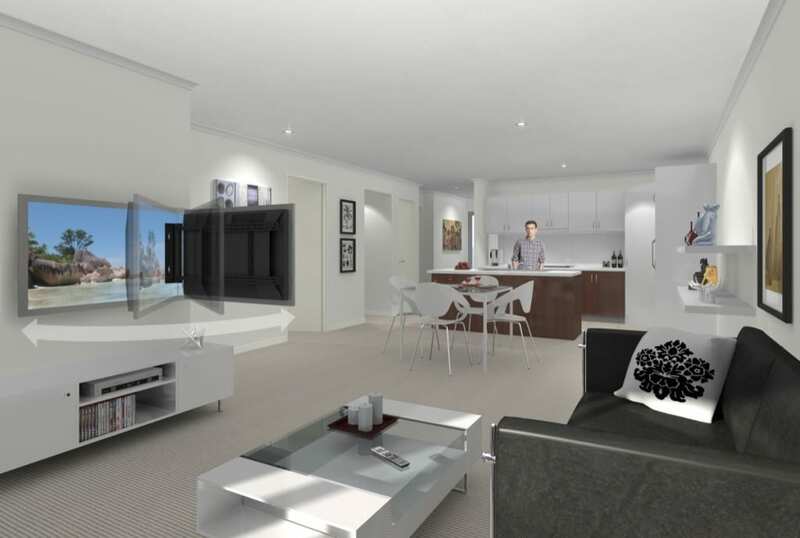 Ideal for locations where space allows door to recess on each side of the TV within the wall. These doors can be done on a motor or left manual opening. 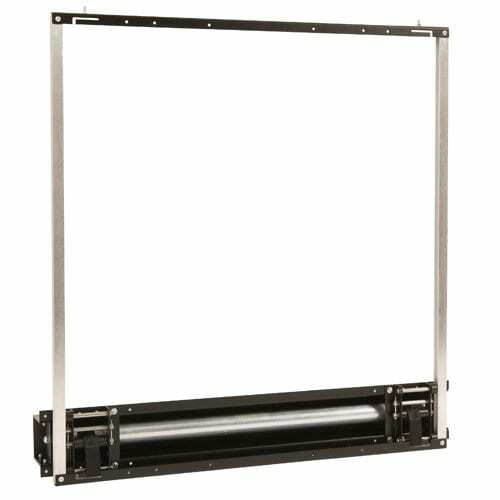 This option Frames your TV with a printed Canvas that rolls up out of site within the frame. You can select from our artwork library or give us your own file to be printed. Do you have real artwork you want to use? With this option your artwork can be securely mounted to a sliding system that carefully slides your artwork up revealing the TV. This unique bracket allows us to swing a TV for better viewing anywhere in the room. Put this TV next to a exterior door; just open the door and swing the mount 180 for viewing outdoors. 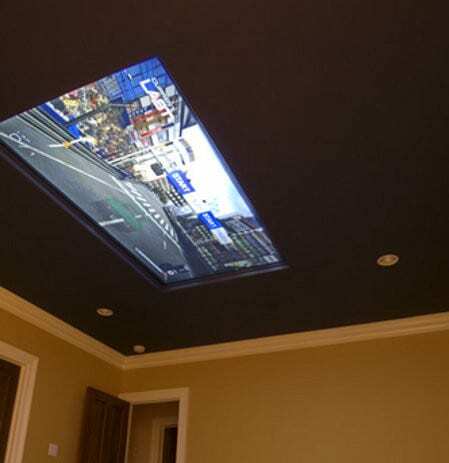 Imagine A TV mounted directly above your bed flat on the ceiling. The experience is like no other. The sound rolls off the ceiling down the walls and immerses you. From first hand experience there is nothing quite like it. You’ll lay completely flat relaxed without sitting up or straining your neck. As an alternative option to mounting a physical TV, we have also used a hidden projector to display the video. Transform your back yard into a movie theater with the push of a button! Watch TV in the kitchen while cooking or upgrade to a touchscreen TV complete with Apps to browse the internet and watch videos or check email. 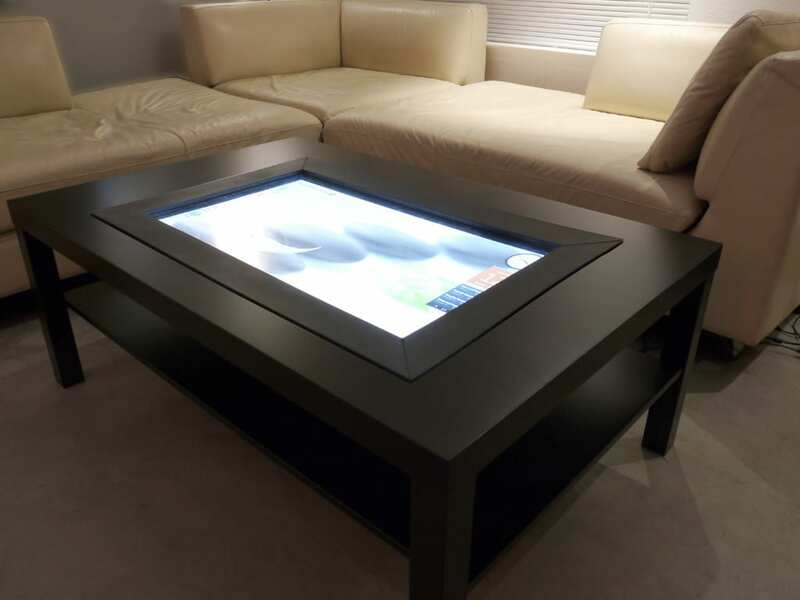 This in table TV doubles as a touchscreen for work and play. 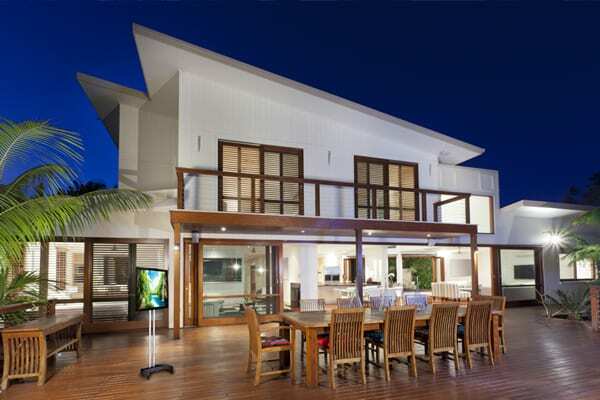 Also, control your entire home automation system quickly from this interface! Extremely mobile; wheel this TV around anywhere. Ideal for locations where free space is not available above allowing the installation of a hidden ceiling TV. What lied beneath the floor is a hidden TV! A great option when you have no flat walls! Pole mounts allow the TV to also pivot for better viewing angles. Want to see more detail on the slide up with artwork wall mount. It’s a moving panel system that can move a panel (in this case the artwork) up, down, left, or right. We can also combine two systems to make 2 separate panels move. Our most common panels system advance in only one direction like the one shown in #11 above. However we do have systems that can advance in multiple directions for example if you wanted the picture (or panel) to be absolutely flush with the wall we can move the panel inside the wall then slide up into a hidden wall cavity or alternatively move away from the wall then slide up to be shown. Here is a picture of a basic motor / mount system. We can customize to fit absolutely any size panel or artwork. It’s a great system to create a hidden door or entertainment system.